We are a family owned business with over 25 years experience in custom home building and remodeling. We specialize in interior remodeling - especially kitchens, bathrooms and finishing basements. 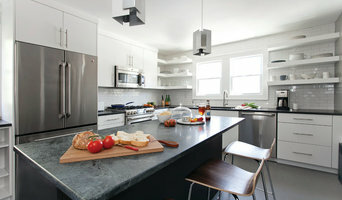 Custom Design and Manufacturers of Commercial and Residential Cabinetry and Countertops. Krieger Furniture & Millwork is a custom woodworking business providing furniture, millwork, cabinets, and components to both residential and commercial clients. the majority of our work falls under the following categories: school and public libraries, residential cabinets/millwork, retail displays and commercial cabinetry/millwork.